On the 24th of June 2016, we worked with researchers from the Wellcome Trust Centre for Human Genetics to write some new dances based on Genetics. 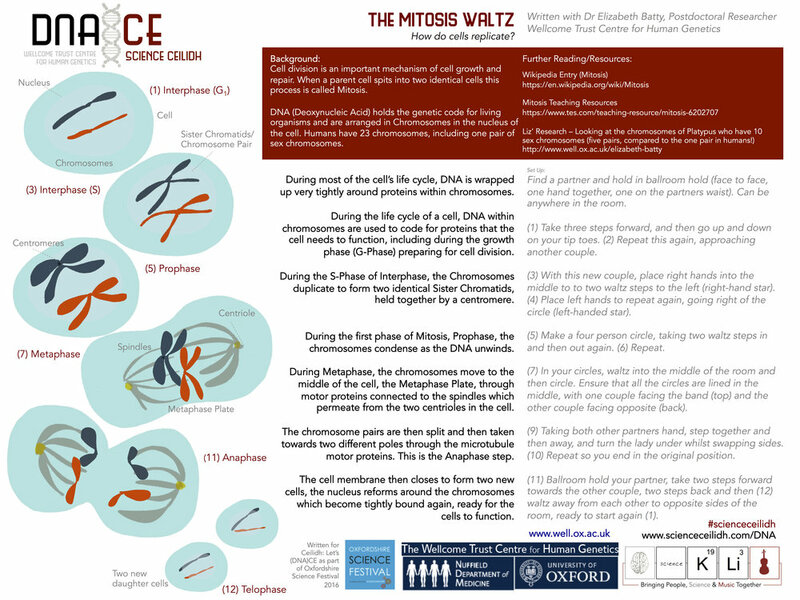 We then shared these with the public through a community workshop and then a public ceilidh (Ceilidh: Let's (DNA)CE) on the 25th of June as part of the Oxfordshire Science Festival 2016. You can see the two dances and explanations here! 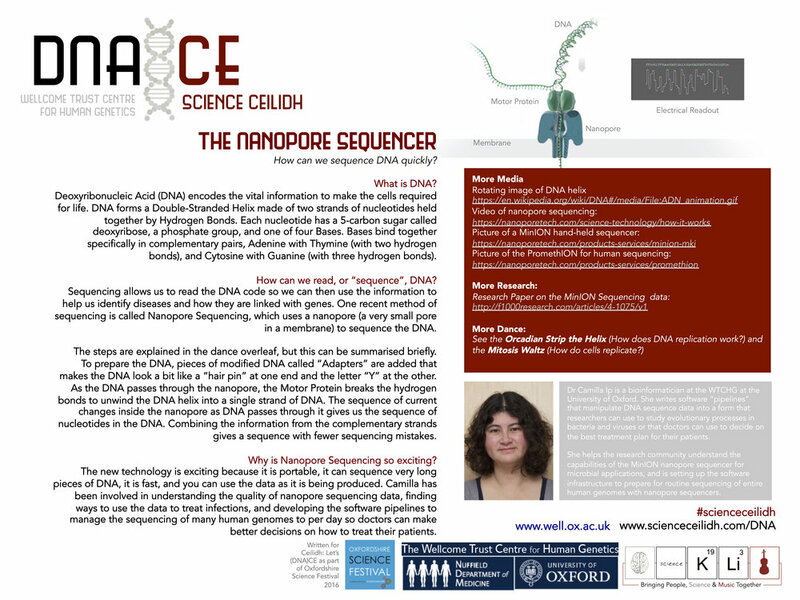 Download the higher resolution copy of the Mitosis Waltz here and the Nanopore Sequencer here.